Under sponsorship of the R.O.C. (Taiwan) – C.A. Economic Development Fund (CAEDF), the R.O.C. 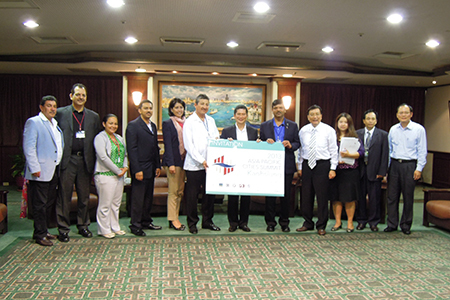 Government invited five Belizean business leaders to visit Taiwan on April 21st – 27th, 2013, and Central America Trade Office (CATO) was responsible to receive the delegation with arranged agenda for their visit. The five Belizean delegates are: Mayor of San Pedro Town, Mr. Daniel Guerrero; President of Belize Tourism Industry Association (BTIA), Mr. Herbert Hugh Haylock; Vice President of Belize Chamber of Commerce, Mr. Israel Ivan Marin; Board Member of Corozal Free Zone Chamber of Commerce (CFZCC), Mr. Khub Chand Vanjani; and Chief Policy Analyst of Belize Chamber of Commerce, Ms. Marilyn Suzette Pinelo. The Belizean delegation was enthusiastic to approach and communicate with authorities related to FTA in Taiwan, in the hope to advance the signing of FTA process between Taiwan and Belize. As pointed out by Mr. Israel Marin of the Belize Chamber of Commerce, Belize is blessed to be in the central pivot of the North/ Central Americas & the Caribbean. In terms of regional trade agreements, Belize has joined the CARICOM which already singed the EU – Caribbean Economic Partnership Agreement with the European Union. Meanwhile, Belize has also signed FTA oriented agreements with the neighboring countries such as Mexico, Guatemala, and El Salvador. Furthermore, its trade relation with the U.S. and Canada has been going steady as well. “Belize possesses an advantage of multiple trade incentives”, as Mr. Marin stressed. 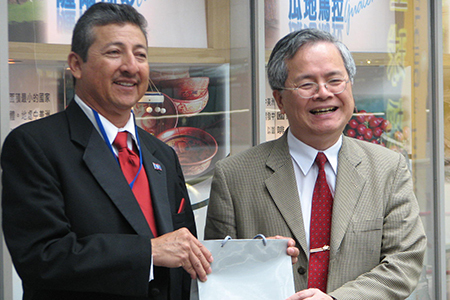 On the other hand, a suggestion made by the Office of Trade Negotiations, MOEA, indicates that Taiwan and Belize may start with the Commodity Agreement signing first since the current bilateral trade volume still has much room for growth, while the issue of FTA can be further discussed as soon as the mutual trade statistics reflects substantial increase. In addition, the Belizean delegation also encouraged Taiwanese companies to visit Belize and make investments, since Belize Government has launched various policies to provide incentives and attract foreign investments. 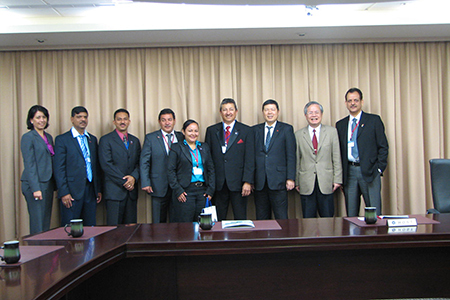 Among others, the Corozal Free Zone at the border with Mexico enjoys a favorable treatment of tax exemption for the Taiwanese investors who may set up the distribution hubs in the free zone to sell products of good quality from Taiwan and to transfer to the Mexican or North American markets. 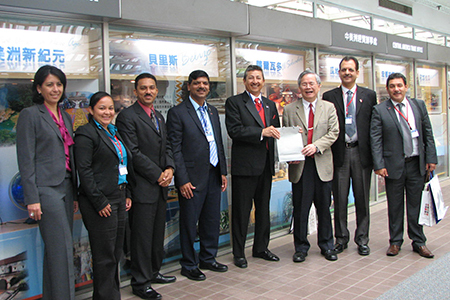 The itinerary for the visit in Taiwan included the following public sectors: Taiwan External Trade Development Council (TAITRA); Office of Trade Negotiations, MOEA; Department of Investment Services, MOEA; China Productivity Center; Chinese National Association of Industry and Commerce (CNAIC); Chinese National Federation of Industries; Chinese International Economic Cooperation Association (CIECA); Kaohsiung City Government; while for visits to the private sectors cover industries with the range from tourism, food processing, and auto parts, to green energy/lighting. 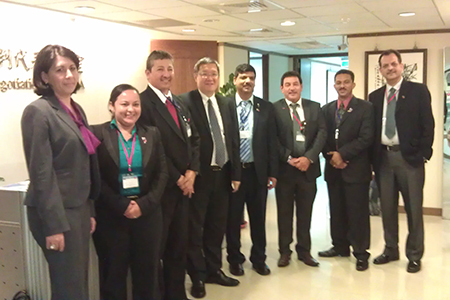 The Delegation also visited Director of Central America Trade Office (CATO), Amb. Carlos S.C. Liao, at 10:30 AM on April 22nd, to get informed with CATO’s services & tasks. 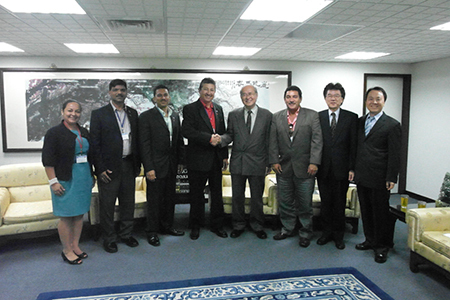 The Delegation and Amb. 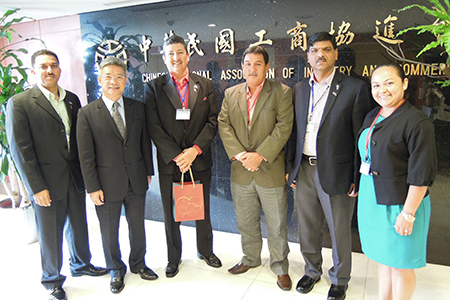 Liao exchanged points of view on the projects to enhance economic cooperation such as tourism, trade and investment between Taiwan and Belize. Thank you for following us!… we continue to improve for our viewers…. feel free to suggest topics etc!